One of the biggest problems that webmasters deal with is duplicate content. It’s not a negative signal to start with on search engines such as Bing and Google, but identical content, and even content that is similar do cause confusion. This can then lead to problems in ranking, and this is something that you should try to avoid as much as possible. The measures that are taken on a website to manage onpage optimisation are clear for website owners, and there are some standard recommendations for meta titles or descriptions. There are also very clear rules which heading structures are most suitable to use for search engines as well as for users. Keywords are important, and the focus on those keywords can affect the position in the SERPs. Webmasters hit a wall when it comes to distinguishing whether to use a canonical tag or 301 redirect. This can end up with a wrong implementation of either and lead to the wrong result. 301 Redirect signals to a search engine that a page has been permanently moved, remove the page from the main index and pass any SEO credit to a new page entirely. It’s a HTTP status code that is sent out by a web server to communicate to software and search engines that the original page has been moved to a new webpage. The browser then received the code which will go to the new URL. You have website content that has expired, is full of 404 errors and you want to point your website to another page that is more relevant. A web page that has been taken down permanently or has been replaced with other SEO and information. You have decided to rebrand your company and your domain has been moved permanently. A delay in search engine ability to attribute link authority to a new webpage. Incorrect use of the redirect. As webmaster, you will need to adjust the .htaccess file to implement 301 redirects, as these are deposited onto the server. Browsers and crawlers will send a URL request to a server at first. This request is then matched to the .htaccess file and redirects the URL to a different one as long as the listing is relevant. When your URL changes, your user-friendliness of your website can suffer because of the error changes. 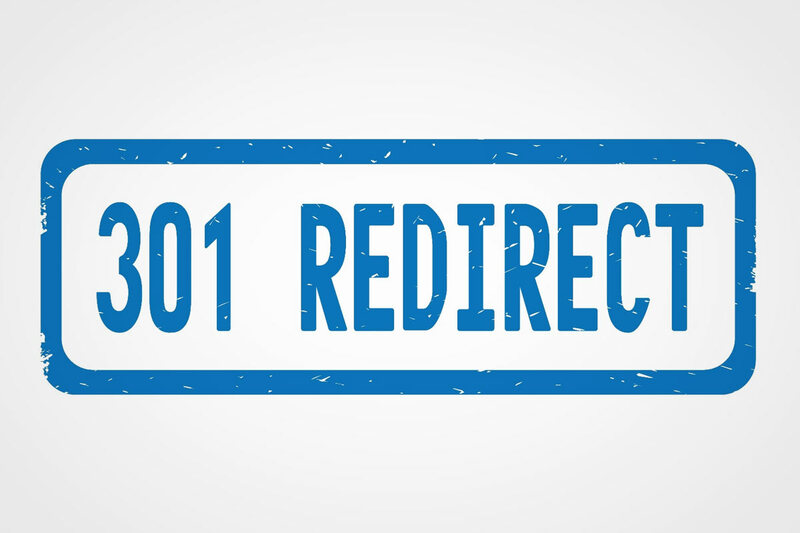 The 301 redirect is utilised to combat this and avoid duplicate content all at the same time. The canonical attribute is not a redirect like the 301, which is so important to know. A rel=”canonical” attribute is used as a signal for search engines to show which page to index in the search results when duplicated content appears in a website. A canonical attribute won’t redirect the visitor to the new URL. If there are two identical web pages (that duplicate content we mentioned) the second version will refer to the original web page via canonical tags. Thi then tells search engines which version is the right one to be indexed. 301 redirects cannot be implemented. Similar content across a website and both pages need to stay visible. The rel=”canonical” attribute is a hint, not a directive. This means that duplicated pages may well appear in search engine results and won’t be ignored by search engines. Online stores often have a huge inventory, so similar content is going to be the case but they will be indexed differently with different URLs. This way, users will know what to expect when they click a link. Multiple URLs for similar products cause a lot of duplicated content via Google. To avoid this happening, one URL should be indexed by the search engine and the best way to achieve this is with a canonical tag. If you run a site or a blog and you have written an article that is due to be updated, the content isn’t the only thing that changes. The URL does, too. You need to prevent losing the existing traffic to the page and so the URL that wa used previously will be redirected to the newest one. This then passes on the link strength. A 301 redirect will work well here, as it can securely redirect the old URL to the new one. Both the 301 redirect and canonical tags are very powerful technical SEO tools that are useful. Knowing which to use and when is vital for user satisfaction.